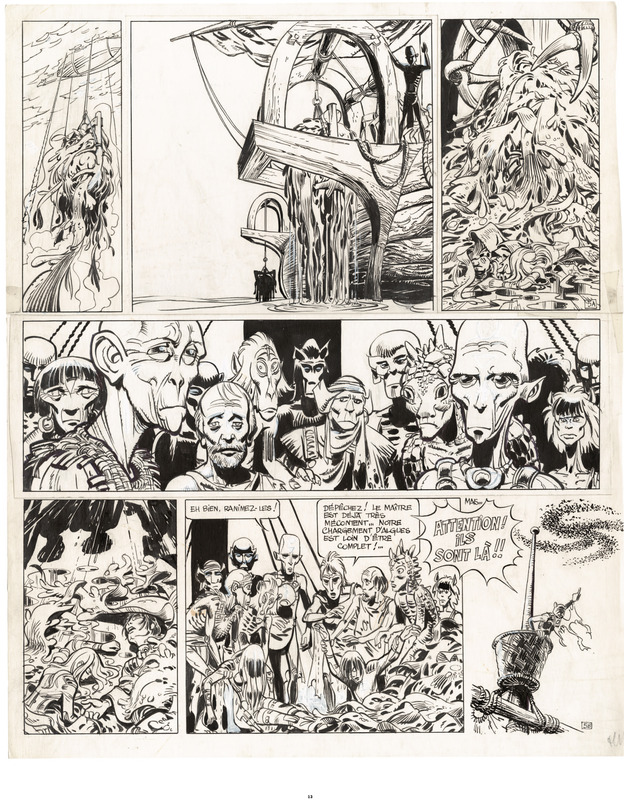 Valerian, a legendary comics series! 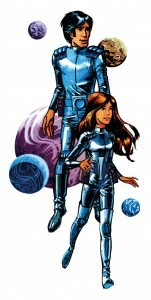 Do we really need to present Valerian & Laureline? 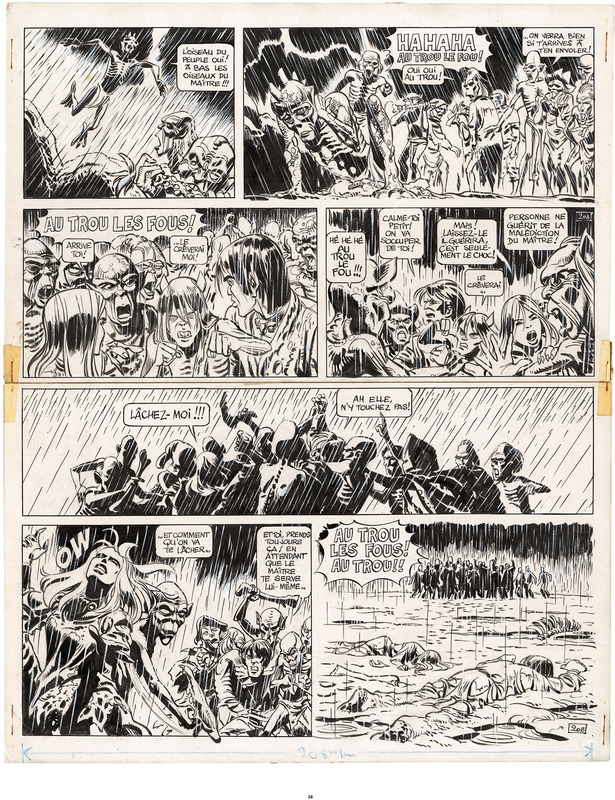 Created at the end of the 60s by two geniuses of the comic genre, Pierre Christin (writing) and Jean-Claude Mézières (art), Valerian is regarded as the epitome of science-fiction sagas. Millions of books were sold, the stories in them fascinating several generations of readers, but the universe of Valerian didn’t stay just on paper: an anime (Japanese cartoon) was made in 2007 and a movie most fortuitously has been released in 2017 with many many thanks to Luc Besson! 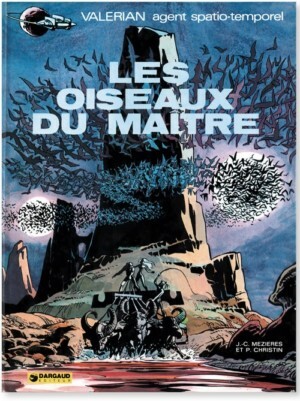 Birds of the Master is the 5th volume of the Valerian series (later to be retitled Valerian and Laureline in 2007, on the 40th birthday of the saga). 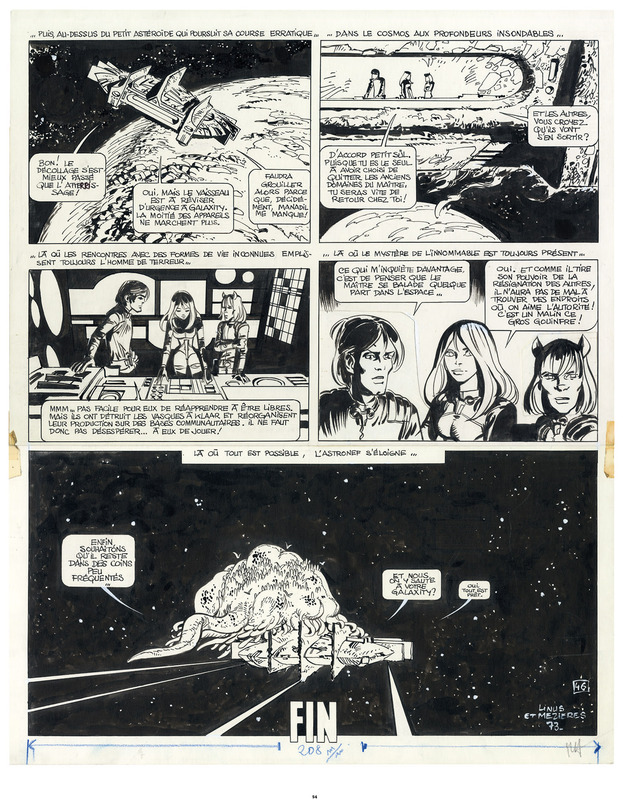 First published in Pilote in 1973, this volume is a turning point in the saga, with a distinct maturation in the graphics as well as in the narration content. 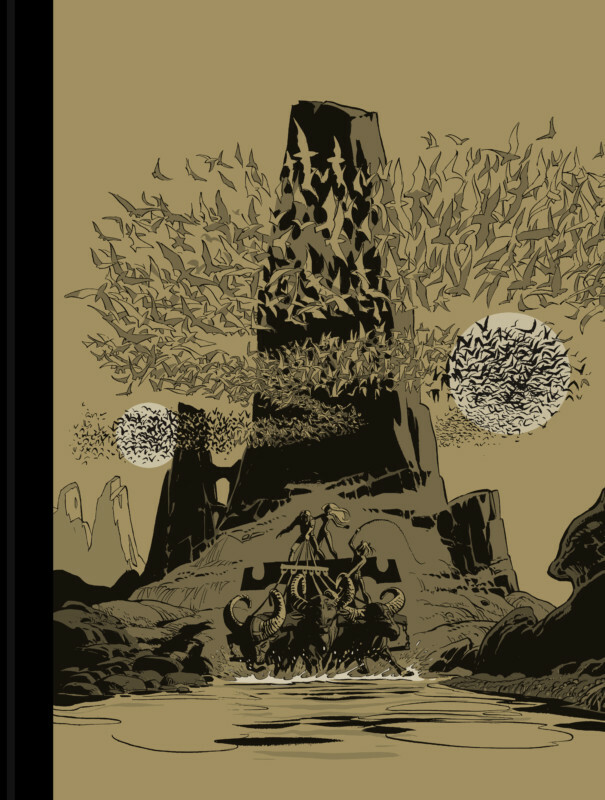 Birds of the Master has a political background, echoing the events of the May 1968 social unrest; as a result of this influence the story is dark and almost frightening, far from the usual publications at the time that were made for “kids”. 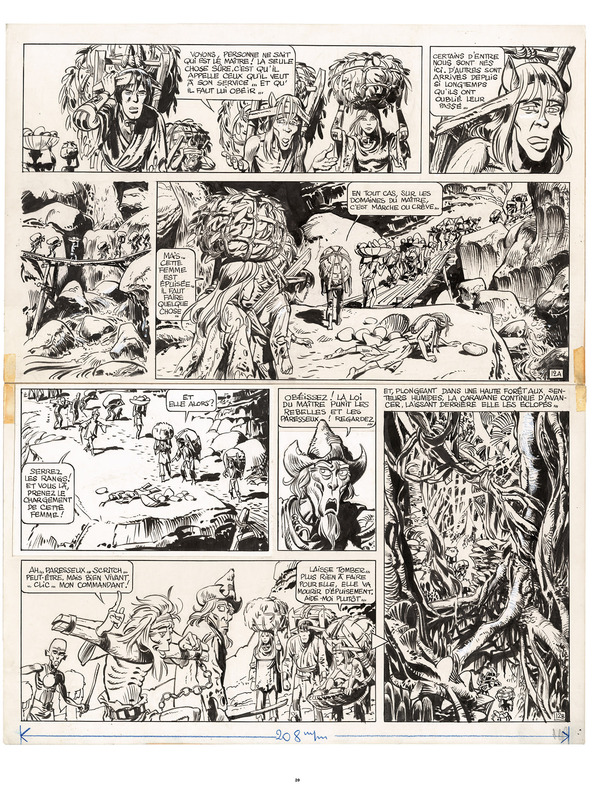 The Adventure… in the original language, and in Large Format! 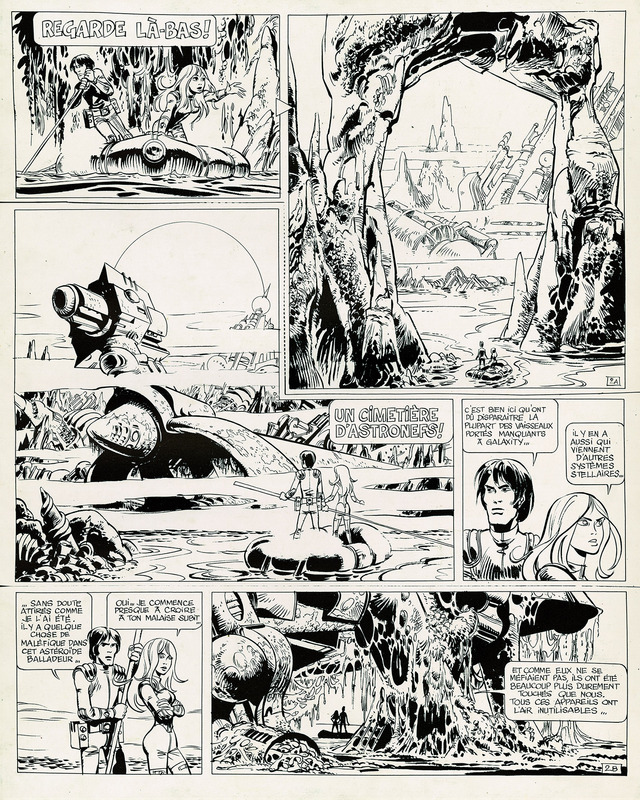 The goal of Caurette Editions, with its collection Retour aux Sources, is to give readers an opportunity to discover the mysteries behind the inspiration and creation of legendary comic books, such as the magnificent Valerian! The pages that we were unable to find were reproduced from black and white films of the printed book then layered on the same paper the artist used at the time. We really want to thank Philippe POIRIER for his incredible work. He took care of the layout, and so many other things, surpassing all expectations, ultimately achieving the wonderful result we have today! 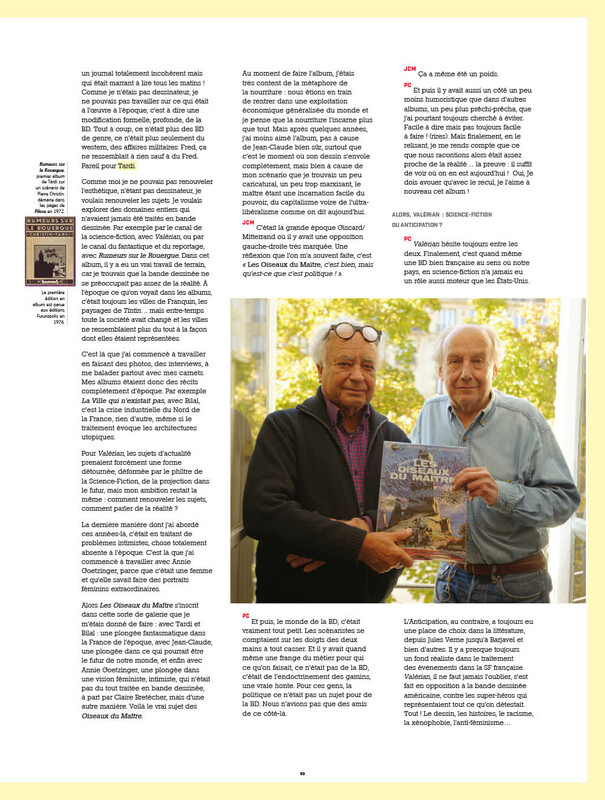 We had the distinct privilege and pleasure to interview the authors. 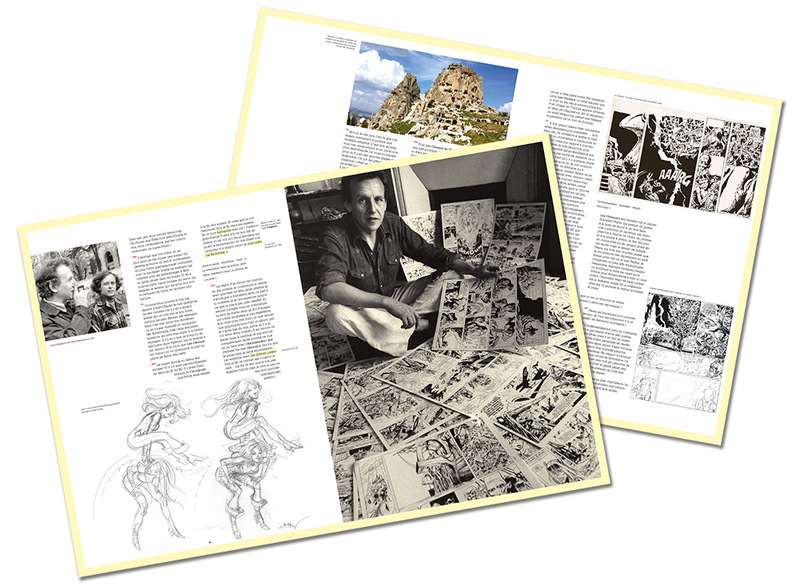 This rare opportunity has allowed us to add twelve pages describing the historical context of the story and provided many personal anecdotes regarding the creation process! We also integrated amazing original documents (photographs, sketches, and more). Most of them are rare and have never been published before! 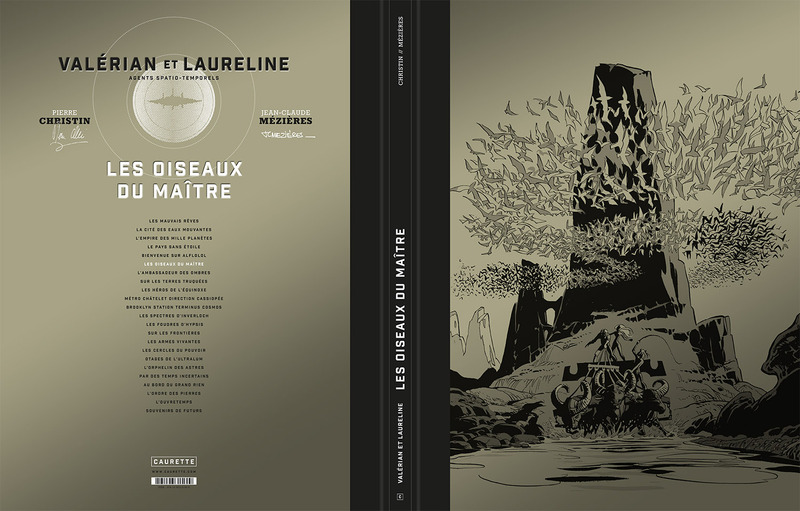 Finally, as the unexpected icing on the cake, Jean-Claude Mézières and Pierre Christin accepted to sign this exceptional work !! 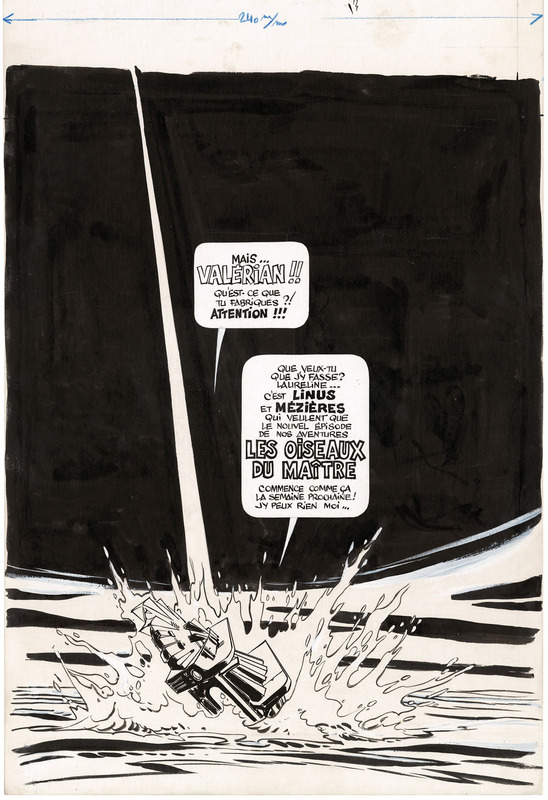 In addition, there is an exceptional separate print within the book: a facsimile of a page, 1-4 colours printed (40 x 50 cm) and drawn by Jean-Claude Mézières. 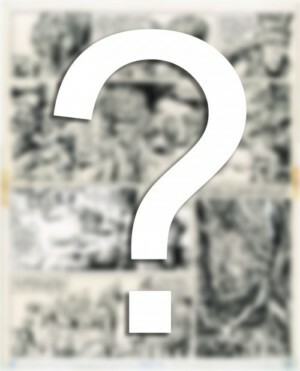 This print is the closest reproduction of the original work, composed of two half-pages taped by the illustrator. What’s next after the Birds..? 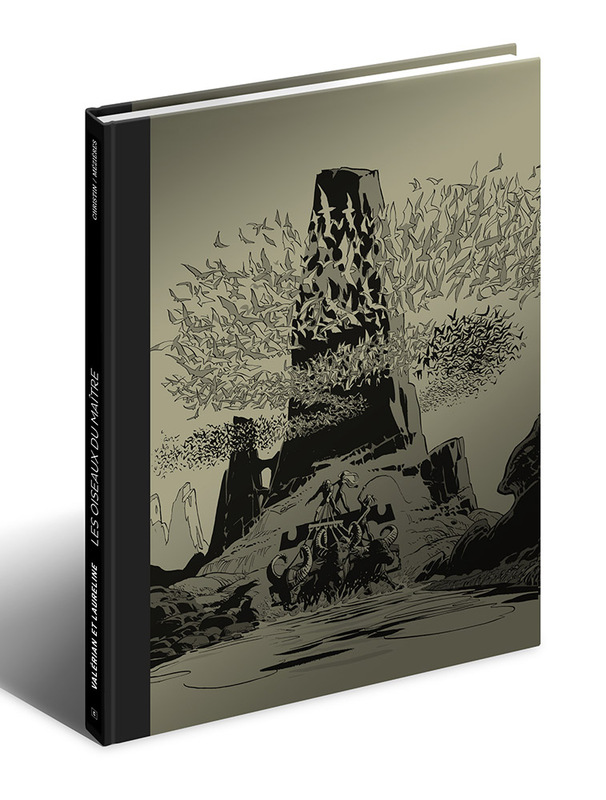 Birds of the Master is the first Valerian book published by Editions Caurette and, if everything goes according to plan, it should be the first of a long series, soon to be followed by a lot other legendary volumes! 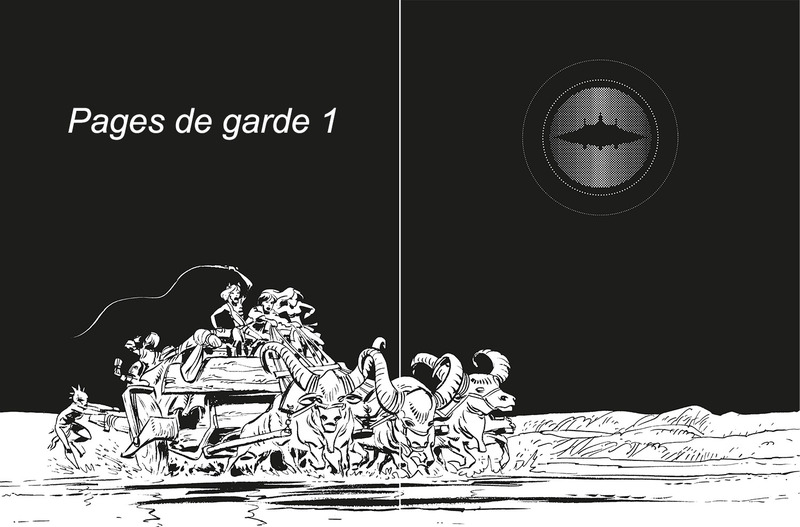 We would also like to thank the authors and Editions Dargaud for their trust and their inestimable help with this project; without them, nothing could have been accomplished!